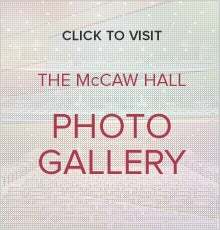 McCaw Hall is owned by the City of Seattle and operated by Seattle Center, in accordance with a unique 25-year Operating Agreement with its resident tenants, Seattle Opera and Pacific Northwest Ballet. 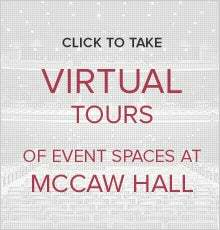 McCaw Hall’s Operating Agreement provides its resident tenants with on-going oversight and shared responsibility for the Hall’s annual budget and operations. Pacific Northwest Ballet, one of the largest and most highly regarded ballet companies in the United States, was founded in 1972. In July 2005, former New York City Ballet principal dancer, Peter Boal became artistic director, succeeding Kent Stowell and Francia Russell, artistic directors since 1977. The Company of nearly fifty dancers presents an average of one hundred performances each year of full-length and mixed repertory ballets at McCaw Hall.